**This review was first published in Air n-Aithesc Volume II, Issue II. This volume is the culmination of an inter-disciplinary project undertaken as part of the Discovery Programme involving archaeologists, historians, linguists and place-name experts. It includes prosopographies of the kings and queens of Tara from mythology to the eighth century; a re-assessment of the nature of the kingship of Tara; legal aspects of the kingship of Tara; the origin and extent of the place name Temair; Tara and the supernatural; the archaeology and topography of the kingdom of Brega; editions of two of the earliest texts relating to the kingship of Tara. This book is one of the projects in The Discovery Programme called Tara Research Project. The project was made up of two parts: a non-invasive archaeological survey; and an inter-disciplinary approach that included anthropology, archaeology, history, linguistics, literary criticism, and onomastics. The aim of this project was to deal with the complex issue of Tara. The volume is made up of two parts: kingship and landscape. The two parts together are made up of fourteen essays, which examine Tara from late prehistory to the eighth century BCE. The book ends with five indexes and an extensive bibliography. It also has pictures and maps from pages 383 to 409. The fourteen essays in this book discuss these main themes: Baile Chuinn Chétchathaig and the Airgialle charter poem; prosopography1 of the kings and queens associated with them mentioned in the above two texts; a discussion of the landscape of Tara and Brega; and the special status of Tara. The essays are all really interesting though sometimes they were hard to take in one sitting so maybe read as much or as little as your brain can take. I know I’ve had to split some of these essays into small chunks to be able to get through them and soak up all the information presented. In some cases, I felt like more citations were needed, or more information on where to read more should one feel interested. On the whole though the essays were solid. There was one essay that really caught my attention and that was “PROSOPOGRAPHY II: A Prosopography of the Early Queens of Tara”. It is the longest essay in the book and it only discusses the women associated with the persons mentioned in the Baile Chuinn Chétchathaig and the Airgialle charter poem, but at least they were discussed. There isn’t a lot written on women in the Celtic world so that was a good essay to read. Another essay that I really liked was John Carey’s essay called “Tara and the Supernatural”. In this essay Carey discusses how Tara was not linked to the síd, like Emain Macha for example, but its kingship is still the focus of supernatural threat in some stories because it was identified with the Kingship of Ireland. I think this book is a very important but I also think that people should read other hypotheses and interpretations about the kingship of Tara. This is but ONE interpretation among many. Pages: 172 with some maps, charts, pictures, and illustrations. The prehistories of Britain and Ireland are inescapably entwined with continental European narratives. The central aim here is to explore cross-channel relationships throughout later prehistory, investigating the archaeological links (material, social, cultural) between the areas we now call Britain and Ireland, and continental Europe, from the Mesolithic through to the end of the Iron Age. Since the separation from the European mainland of Ireland (c. 16,000 BC) and Britain (c. 6000 BC), their island nature has been seen as central to many aspects of life within them, helping to define their senses of identity, and forming a crucial part of their neighbourly relationship with continental Europe and with each other. However, it is important to remember that the surrounding seaways have often served to connect as well as to separate these islands from the continent. 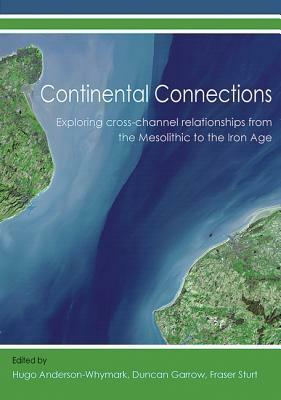 In approaching the subject of continental connections in the long-term, and by bringing a variety of different archaeological perspectives (associated with different periods) to bear on it, this volume provides a new a new synthesis of the ebbs and flows of the cross-channel relationship over the course of 15,000 years of later prehistory, enabling fresh understandings and new insights to emerge about the intimately linked trajectories of change in both regions. This isn’t a long book, only 172 pages; however, it is full of interesting information on the relationship between Ireland, Britain and mainland Europe, which has always interested me immensely. The book is made up of eight chapters, an Introduction and a Conclusion. The introduction of the book acts like a mini methodology chapter and then goes one to give us a short description of each essay (chapter) of the text. The conclusion surveys at all the chapters, and tries to pluck out the more interesting ideas. Then it acts as a review of the data presented in the eight essays. I can’t tell you how much I enjoyed this book and the essays presented in it. It gave me a lot of food for thought about some ideas I’ve had about the Celtic languages, the Celtic religion and Celtic Art (which is the subject of one of the essays) and how they might have gotten to Britain, and Ireland. I know a lot of the essays dealt with the Mesolithic and Neolithic eras but the thoughts in those essays can easily be extrapolated to the Bronze and Iron ages. I’m a little biased so I would have to say my favorite two essays were on the Iron Age and Celtic Art (Chapters 8 and 9) but this is a book that I would recommend to anyone who REALLY wants to think about the cross-channel relationships and the origins of the Celts. Pages: 584 pages including Appendix tables, Bibliography, Index, plates and figures. How did people create and live in their own worlds in early medieval Ireland; what did they actually do; and to what end did they think they were doing it? This book investigates and reconstructs from archaeological evidence how early medieval Irish people lived together as social groups, worked the land as farmers, worshipped God, made and used objects and buried their dead around them. It focuses on the evidence from excavations conducted between 1930 and 2012 and uses that evidence to explore how people used their landscapes, dwellings and material culture to effect and negotiate social, ideological and economic continuities and changes during the period AD 400–1100. As the synopsis says this book uses archaeological finds and data to investigate and reconstruct how early medieval Irish people lived. The book is full of interesting information and not just about the finds but also about how these finds came to be and all the interesting history of the Early Medieval Archaeology Project and all the work that went into it. And it is A LOT! The book is made up of nine chapters; the last of which, chapter nine, is a conclusion. The first chapter discusses is an introduction to what is coming. Chapter two talks about antiquarian origins and the development of archaeology in the 19th century, the university and state funded archaeological excavations in the Republic of Ireland and in the North of Ireland from the 1930s to the 1970s, the origins and development of commercial archaeology after Ireland and the UK joined the European union in 1973, the urban redevelopment archaeology in Ireland during the 1970s to the 2000s, and the NRA road development schemes during the time period between 2000 and 2013 which had archaeologists attached to them. And the politics and dynamics of Northern Ireland and the Republic of Ireland also played a role in how these finds were interpreted and through which lens. This chapter was a bit too full of names, but if you don’t focus on them what is left of the chapter is very interesting, especially how the Irish dealt with the building of the roads and the archaeological finds around them. Early medieval dwellings and settlements are the subject of chapter three. This chapter does a great job of reviewing the different types of evidence available for secular settlement activities and the knowledge that these activities provide us about the society of the time. This chapter was so interesting to read. Some of it was straight forward telling of what was found on archaeological finds but then rest of it was pure gold. Chapter four is all about churches, especially their archaeology, but it also talks about burial, and church craftwork. It wasn’t my area of expertise so I was very interested in reading it and digesting it. I still felt though that I needed to understand more that was not possible with this book focused on archaeology. The next chapter talks about the economy of Medieval Ireland, specifically farming. The big take away from this chapter was that agriculture was the key element in the organisation of early Irish society and the glue that kept it together. For more information on this, Kelly’s book is seminal. Chapters six and seven discusses Irelands crafts and technologies and their trading. It discusses the technological knowledge and skills needed for the craftwork, the different roles of specialist craftspeople in the community, the networks of production, they way it was used or exchanged, and the way crafts changed across time. I’ve read a few art books and I think this rounds out my knowledge nicely. The final chapter is death and burial. This final chapter showed that the conversion to Christianity was very slow and very complicated. There was probably a differing pace between locations and regions. 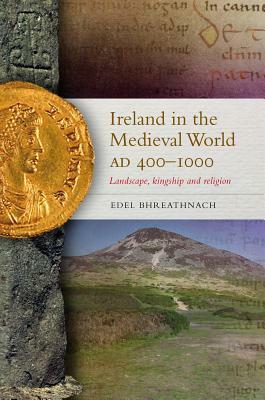 I feel that this book could really be complimented by reading Ireland in the Medieval World AD 400 – 1000: Landscape, Kingship and religion. See my review of it here. Pages: 293 including Endnotes, Bibliography and Index. The book also has illustrations, black and white and colored pictures plates. Synopsis: This is a study of Ireland’s people, landscape, and place in the world from late antiquity to the reign of Brian Borama. The book narrates the story of Ireland’s emergence into history, using anthropological, archaeological, historical, and literary evidence. The subjects covered include the king, the kingdom and the royal household, religion and customs, free and unfree classes in society, exiles, and foreigners. The rural, urban, ecclesiastical, ceremonial, and mythological landscapes of early medieval Ireland anchor the history of early Irish society in the rich tapestry of archaeological sites, monuments, and place-names that have survived to the present day. A historiography of medieval Irish studies presents the commentaries of a variety of scholars, from the 17th-century Franciscan Micheal O Cleirigh to Eoin Mac Neill, the founding father of modern scholarship. The book is made up of three chapters which should really be considered parts. Each chapter is further divided into sections, and while chapter one is relatively short, chapters two and three make up the bulk of the book. The Introduction of the book talks about the tradition of writing history in medieval Ireland and how important it was to the writers to write it. I learned quite a few new Irish words in this chapter, which I’m going to love using whenever I can. Chapter one discusses the natural environment of Ireland, and the rural and urban settlements. It also discusses the antique trading hubs and the Viking coastal towns. I was very interested and what the author had to say about medieval Ireland’s land and climate but I was also very interested in WHERE she got her information. Archaeology of course was one source, law tracts and mythology was another. Kingdoms, kings and people are the subjects of chapter two. The chapter starts with Ptolemy’s geography, then goes on to discuss Ogam inscriptions (and some of the formulas used in writing them), annals and genealogies, the concepts of Kingship, the obligations of the kings and their powers, the royal family and its extensions, the royal household, and ends with the life and death of the king. The chapter even has a section on the women in the royal household and what their rights were. This chapter is just so full of information. There is no way to get it all with one read. So many concepts and degrees of kings and kinds of kings to understand. And as with the first chapter the evidence is based on archaeology, law tracts and mythology. The final chapter of the book from my point of view was the most interesting. It discusses religion, ritual and ritualists. It focuses on the Christian era of course, but it starts from the earliest possible phase of Christianity in Ireland and goes on from there. The big take away is that it was a SLOW and complicated process. 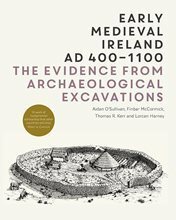 Should be complimented with Early Medieval Ireland AD 400-1100: The Evidence from Archaeological Excavations, read my review here.